After being run by a string of bureaucrats who weren’t exactly in sync with the stock markets and its devices, regulator SEBI finally has a chief who’s no stranger to the bulls and bears. Can he make a difference? Good Morning. I’M pleased to announce my nomination of Congress-man Chris Cox of California as our next Chairman of the Securities and Exchange Commission… Chris understands how markets work, and he knows the need for transparency in financial exchanges and in the halls of business. He proved that he can bring together people of diverse opinions to get things done. That kind of leadership will be invaluable as the Chairman of the SEC. When on June 2, 2005, George W. Bush, President of the United States, ushered in Chris Cox as Chairman of the Securities and Exchange Commission (SEC), it wasn’t for the first time that the Commission had a man well-versed with capital markets at the helm. Cox, who specialised in venture capital and corporate finance at a Wall Street law firm, succeeded Bill Donaldson as the 28th Chairman of the SEC. Donaldson himself is a former Chairman & CEO of an investment bank that he co-founded, and was also Chairman & CEO of the New York Stock Exchange. Cox and Donaldson aren’t exceptions. Like the 25th Chairman, Arthur Levitt, a former Chairman of the American Stock Exchange, almost every SEC chief has done the Wall Street shuffle. Cut to SEC’s counterpart in India, the Securities & Exchange Board of India (SEBI). Since inception in 1994, the market watchdog has had a string of bureaucrats at its helm, most of who had been thrown into the trading ring of bulls and bears for the first time. Result? An organisation that’s illequipped to understand how markets work. What’s more, an administrative style of functioning has bred bureaucracy, dissatisfaction and frustration among its employees. The lack of people trained in market regulations has resulted in SEBI deputing staff from other government organisations. Whilst the SEC’s efforts to curb corporate fraud in the US can be scoffed at, it has done its bit to come down heavily on irregularities like price manipulation and insider trading. SEBI, on the other hand, would appear to be groping in the dark. “The Reserve Bank of India, despite seeing a change of leadership from time to time, has evolved a culture of its own that doesn’t change with the governors. But one doesn’t get a similar impression about SEBI, which has been driven by the personality of its chairmen,” says S.A. Dave, Chairman of economic research outfit, Centre for Monitoring Indian Economy (CMIE), and the founder-chairman of SEBI. There may finally be some light ahead, though. When the government appointed 57-year-old Chandrasekhar Bhaskar Bhave as the seventh Chairman of SEBI in mid-February, for the first time the market regulator had a man who’s been there on Dalal Street, and done that. 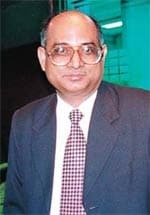 The electrical engineer from Nagpur, who served as a Secretary in the Ministry of Finance, Petroleum, and in the state of Maharashtra, had been hand-picked by G.V. 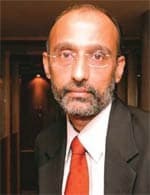 Ramakrishna, SEBI’s first functional chairman, way back in 1992 (S.A. Dave was SEBI’s founding chairman, but it was during Ramakrishna’s stint that SEBI was flagged off as a statutory body). 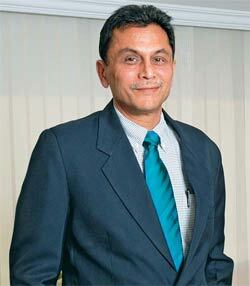 As a Senior Executive Director, Bhave was at the forefront of a slew of reforms. These included the introduction of turnover-based fees (which was predictably resisted by brokers). 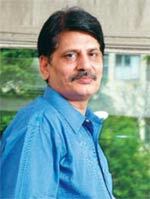 Later, he was instrumental in setting up a surveillance system at the National Stock Exchange, banning badla (an indigenous form of forward trading) on the Bombay Stock Exchange and in writing several path-breaking regulations. From SEBI, Bhave moved on to set up the National Securities Depository Limited (NSDL), which ushered in electronic trading in shares. So is Bhave the right man, in the right place, at the right time? (Bhave declined to participate in this feature.) Dave believes the current chairman is the one who can build a culture within SEBI that will sustain it as an organisation. “At NSDL, he never came to the forefront to take credit. He makes it a point to give credit to those responsible for completion of a task,” adds Dave. A stock market expert who is a member on one of the SEBI committees, on condition of anonymity, says that Bhave is focussed on re-building SEBI as an institution. And he began that task on day one itself, by going around the office and meeting each employee of SEBI. “It was a great sense of comfort for officers at the junior level,” says an officer in the investigation department. It didn’t stop there. The eighth floor of SEBI Bhawan in the Bandra Kurla Complex in suburban Mumbai is within easy access of its employees (even the disgruntled ones) as well as the outsiders. BT also learns that four EDs have been given more authority and freedom. “The chairman meets the EDs on a weekly basis. There is a lot more transparency in the way instructions are given or matters are discussed and debated,” says a SEBI insider. “He is known to have the ability to get the best out of his people,” says Somasekhar Sundaresan, Partner at J. Sagar Associates, a law firm that advises the NSDL. Bhave is also attempting to step up employee productivity. SEBI officers have been mandated to clear pending applications of market intermediaries quickly. If there are any guidelines, circulars or applications that need approval of other regulatory bodies such as the RBI, the chairman has told officers to clear the proposals from SEBI’s end. Earlier, there was a tendency among employees to sit on proposals and applications simply because approvals of other regulators were not forthcoming, says a securities lawyer. “We can see a positive approach among the officers. There is a sense of openness and an eagerness to listen to views of others,” says Siddharth Shah, Head of Funds Practice at Mumbai law firm Nishith Desai Associates. Interestingly, it also appears that now the executive directors have the freedom to appear in public forums. After a long time, an Executive Director, Manas Ray, addressed a capital markets conference hosted by Pricewaterhouse-Coopers, a management consultancy firm, in April this year. Along with organisational reforms, Bhave isn’t taking his eyes off the Street. He hasn’t made any headline-grabbing announcements, but that may not quite be his intention. Rather, removing operational hurdles and improving disclosures (by mutual funds) could be the aim. In terms of new initiatives, he has provided a ‘direct market access’ facility to foreign investors and speeded up the reforms in the primary market. And more important than what he has to show for his efforts in the past four months is his keenness to turn things around, point out market men who’ve worked with him. “The solution-based approach of SEBI to the various issues in the capital market is being reflected in the various important and key decisions taken over the past four months,” points out S.A. Narayan, Managing Director, Kotak Securities. To be sure, the challenges for Bhave are many. To start with, investigations and surveillance is the weakest link. Over the past many years, SEBI has done its bit to issue orders against apparent offenders. But its charges have rarely stuck, and on most occasions have ended up getting overturned by the Securities Appellate Tribunal, the authority that hears out appeals against the regulator. SEBI has also tried on numerous occasions to book companies, brokers and fund managers on charges such as insider trading and rigging of stock prices, but it couldn’t stand firm in the court of law. Legal experts point out that the problem arises when cases related to violations are handed over to junior officers who do not understand the seriousness of the case and do not understand markets. Another challenge for Bhave is to improve SEBI’s response time. R.S. Loona, Managing Partner at Alliance Corporate Lawyers, and a former ED for legal affairs at SEBI, explains that better compliance can be ensured if the regulator opens a formal window whereby intermediaries can seek more clarity about regulations and guidelines. “Sometimes the response is not forthcoming, as employees do not want to be seen as favouring any intermediary,” he says. Hiring and retaining manpower is another issue that SEBI has to come to terms with. Whilst it continues to hire management and law graduates, the experienced SEBI employees are easy prey for brokerage houses, foreign institutional investors (FIIs) and local law firms. Also, despite the growth in the number of players such as FIIs, mutual fund companies and brokers, SEBI continues to operate with a meagre staff of 500-odd employees; the SEC has 3,500. Can Bhave deliver the goods by initiating meaningful investorfriendly reforms? G.N. Bajpai, a former chairman of SEBI, points out that Bhave is extremely conscious of the fact that in a competitive market if regulations do not evolve continuously, a regulator will just not be able to keep pace. Rashesh Shah, Chief Executive Officer at Mumbai-based brokerage Edelweiss Capital, expects SEBI to make incremental improvements in the market. Bhave’s one-time mentor Ramakrishna thinks he is the right man for the job and someone who will deal with market participants in an impartial and fair manner while keeping investor interest in mind. But perhaps what will work best to Bhave’s advantage as a person who has worked with him puts it, is his eagerness not to fight fire but to prevent it.